Halifax: The Halifax Courier, Ltd, 1913. Hardcover. Illustrations by Arthur Comfort. Small 4to. Green pebble-grain cloth with gilt lettering and black rules and pictorial stamping. xv, 239pp, (12pp). Frontispiece, numerous illustrations, line drawings. Very good. Faint binding edgewear only; rear inner hinge a tad rough but tight. Handsome first edition (with subscribers list at close) of these walking sashay's around Haworth and Yorkshire by the Yorkshire shopkeeper and mill worker (1866-1921), first published in serialized newspaper form (1904-07). New York: Harcourt, Brace and Company, 1929. Hardcover. Small 8vo. Light blue cloth with dark blue lettering. viii, 378pp. Very good. Mildest of edgewear only, else internally tight and bright. A tight and nice later printing of this quite useful survey and checklist of sources. From the collection of famed Walt Whitman scholar and biographer Gay Wilson Allen (1903-95), who in 1981 authored the Pulitzer Prize-nominated "Waldo Emerson: A Biography"; his ownership signature appears on front flyleaf. By DIZER, John T., Jr.
Jefferson: McFarland, 1892. Hardcover. Small 4to. Red cloth with gilt lettering. viii, 183pp. Illustrations. Near fine. Tight, attractive first edition of this cross between a literary study and a bibliography. New York: Simon & Schuster, 1992. Hardcover. Small 4to. Blue cloth spine with gilt lettering and blue paper over boards, dust jacket. 255pp. Fine/near fine. 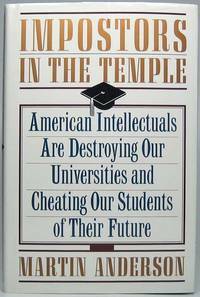 A superb, tight first edition of this sharp critique of university administrators, faculty and trustees and the many ways in which they're letting down our ever-brighter students. Handsomely inscribed and signed by the author in black fineline on front flyleaf: "For Robert H. Malott -- / Someone who knows / the temple well -- / With best regards / Martin Anderson / January 4, 1993." Anderson (1936-2015) was a noted economist, policy analyst, author and advisor to President Reagan, while Robert Malott (1926-2018) was a noted Chicago businessman, CEO of FMC Corporation, Republican politico and philanthropist -- and his father the well-known academic administrator Deane W. Malott (1898-1996), educator who served as assistant dean at Harvard Business School, chancellor of University of Kansas and president of Cornell University. 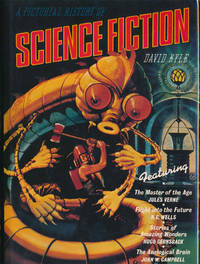 Cleveland: The World Publishing Company, 1957. Hardcover. 8vo. 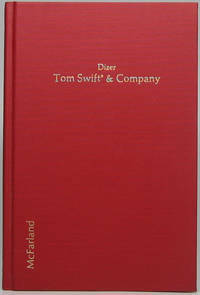 Grey cloth with gilt and red spine lettering, pictorial dust jacket. 404pp. Near fine/very good. Mild jacket edgewear and bit of rubbing; inoffensive front pastedown abrasion. Handsome and tight first edition of this essay collection by the versatile intellectual, author, editor, critic, television and radio persona (1904-99). With choice autograph addition: Tipped to front flyleaf is an Autograph Note Signed from Fadiman, 1p, 8¼" X 11", New York, NY, 14 January 1954. Addressed to Miss Miller. Very good. On imprinted letterhead, Fadiman begs off an engagement, telling this literary club representative "It would be pleasant to be able to afford a half-week vacation in Chicago, but I fear I must be realistic...." Boldly penned and signed in black ink. Across the top, the recipient writes large and bold and annoyed, "...I wrote him and we decided that 'Friends' could pay plane fare. Now, comes 2nd refusal from Fadiman! So different from [Bennett] Cerf." Miller (1881-1969) was a Chicago playwright, poet and singer who authored "Marked Corners: A Three Act Play About Young Abraham Lincoln in Indiana, 1816-1830" (1954), the historical fiction "Golden Heritage" (1950) and "The Collected Poetry of Francesca Falk Miller" (1956). Chicago: S.C. Griggs and Company, 1880. Hardcover. Small 8vo. Emerald green cloth with gilt spine lettering and black rules. 384pp. Near fine. Very faintest of minor binding wear (only), else internally tight and fine; ownership signature on inner flyleaf. Later ("Ninth Thousand") printing of this popular, oft-reprinted essay collection by the popular essayist and clergyman (1818-1909) -- a mishmash of writings largely concerning things literary and bookish, with such titles as "Professorships of Books and Reading," "Literary Triflers," "Are We Anglo-Saxon?," "Book-Buying," etc. A wonderfully fresh copy. New York: Harper & Brothers, 1932. Hardcover. 8vo. Blue cloth with gilt lettering and decoration, dust jacket. viii, 370pp. Near fine/good plus. Jacket edgeworn, with several edge chips and overall light soiling. Quite tight and nice second printing of these (to cite jacket front panel) "Observations on Public and Private Morals." Harper & Brothers bookplate laid in. Very uncommon title in the jacket. Austin: The University of Texas, 1973. Hardcover. Small 4to. Red cloth with black lettering. vii, 90pp, (5pp). Fine. Tight and handsome second printing of these articles by leading scholars on the works of the German Nobel Prize in Literature winner. Chicago: The Dixon-Hanson Company, 1908. Hardcover. Small 4to. Brown pebble-grained cloth with black spine lettering and rules. 222pp, (2pp). Illustration. Very good. Faint binding edgewear, with spine lettering badly rubbed; text block evenly, moderately age toned as usual. A tight, fairly attractive second printing of this teacher's A to Z (literally, Agriculture to Zoology), soup to nuts guidebook featuring chapters on every conceivable subject taught -- with front flyleaf bearing the Friends of the Chicago Public Library 1986 membership card of Ralph G. Newman (1912-98), founder of Chicago's noted Abraham Lincoln Book Shop and one-time president of the Chicago Public Library. Interesting copy of an uncommon title usually found in worn, inferior condition. New York: Frederick Ungar Publishing Co, 1962. Hardcover. Small 4to. Black cloth with gilt spine lettering, dust jacket. 144pp. Near fine/near fine. Small ownership signature on front pastedown. Tight and handsome second printing of this slim 1949 classic. New York: Farrar, Straus and Giroux, 1995. Hardcover. 8vo. Black cloth spine with gilt lettering and cream paper over boards, pictorial dust jacket. xviii, 212pp. Near fine/fine. Small ownership name/date on front pastedown. Tight, quite handsome first edition, with oval foil "Winner of the / Nobel Price / in Literature" label added to front jacket panel. Ithaca: Cornell University Press, 1967. Hardcover. 8vo. Brown cloth spine with gilt lettering, price-clipped dust jacket. x, 299pp. Near fine/near fine. Small ownership signature on front pastedown; bit of spotting to top and outer page edges. A tight, attractive second printing. London: Oxford University Press, 1968. Hardcover. 8vo. Dark blue cloth with copper spine lettering, price-clipped dust jacket. xi, 262pp. Fine/very good. Small ownership signature on front pastedown; jacket a bit unevenly age toned. A tight, quite nice second edition of this study first published in 1965. New York: Robert M. McBride & Company, 1923. Hardcover. 8vo. Brown cloth. 78pp. Near fine. 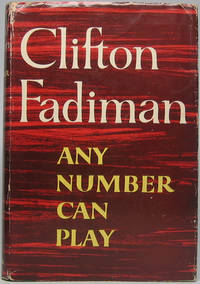 First edition, tight and attractive, limited to 1080 numbered copies (this #823). Interesting study of the obscenity trial involving James Branch Cabell's 1919 novel "Jurgen," which one critic called "quite the naughtiest book." London: Oxford University Press, 1967. Hardcover. 8vo. Dark blue cloth with copper spine lettering, dust jacket.v, 119pp. Near fine/very good. Faint jacket edgewear. A handsome and tight later printing of the "Revised Final Edition" of the British poet laureate's "notable investigation of Milton's technique of versification," first published in 1901 and revised in 1921. Boston: The Atlantic Monthly Press, 1918. Hardcover. 8vo. Tan cloth spine with paper label and brown paper over boards. xxi, 373pp. Top edge gilt. Tissue-guarded color frontispiece, numerous illustrations. Very good. Binding a bit edgeworn and rubbed, though internally tight, bright and fine; nonauthorial 1919 gift inscription on front flyleaf. Tight and attractive first edition, first state of the famed bookman's first book, without the index and with "Picadilly" and errata slip on page 268 (though lacking the suppressed plate found in some copies). Call it a bibliophilic classic... call it a mouldy oldie... but in either case it's just a plain old good read. Newton can be prissy and pedantic, but it's still a must-read for anyone interested in English literature and how to collect it. New York: Charles Scribner's Sons, 1926. Hardcover. Small 8vo. Black blind-embossed wood-grain cloth with gilt lettering. x, 359pp. Frontispiece. Very good. Homely spot near top of outer page edges. A tight and attractive early printing of this 1924 how-to in uncommon and delightful faux binding. London: Hamlyn Publishing Group Limited, 1976. Hardcover. 4to. 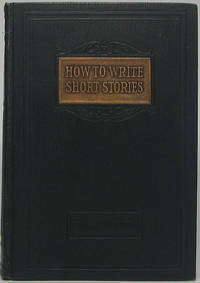 Black paper over boards with silver spine lettering, pictorial dust jacket. 173pp. Extensive illustrations (many color), pictorial endpapers. Near fine/near fine. A superb, tight and handsome first edition of this heavily-illustrated survey. 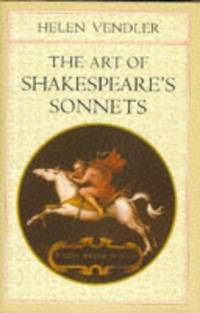 Cambridge: Harvard University Press, 1997. Hardcover. Small 4to. Tan cloth spine and buff paper over boards with silver lettering, pictorial dust jacket. xviii, 672pp. Fine/fine. A tight and pristine first edition of these authoritative texts with learned explanation and commentary from one of the finest critics of her generation. CD in rear pocket is present and pristine. East Lansing: Michigan State University Press, 1995. Hardcover. Small 4to. 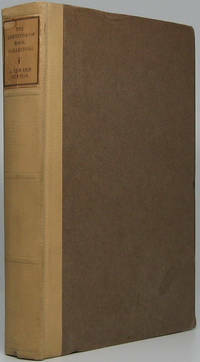 Khaki cloth with silver lettering, pictorial dust jacket. viii, 289pp. Fine/fine. Truly pristine first edition of these essays by EH scholars delivered in 1991 at the Michigan Hemingway Society's gathering.